We, at Hashmi Unani Pharmacy Company which was founded by Hakeem Hashmi in 1929 in order to provide people with high quality herbal products is one amongst leading companies in India offering herbal products. 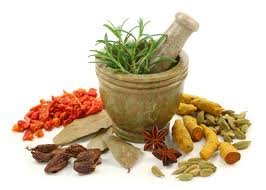 Herbal products are the best cure for all your health problems. The nature itself has provided the cure for all the diseases. The people around the world are suffering from many diseases and ailments. We have devoted ourselves into the collection of herbal products that are effective and safe. We are committed to produce quality herbal/ayurvedic formulations will always strive to produce best quality products at an affordable cost and offer prompt service for an all round development of natural products over the globe. We are not leaving single stone unturned for making the perfect blend of most advanced manufacturing infrastructure & truly dedicated research. This helps us present the natural medicines in an ultra-modern form to serve the ailing humanity with outstanding results that too without exposing other systems of the body towards unwanted effects. We are the pioneers in formulating and promoting the herbal products in the key health segments with definite rationale behind them. The number of customers using our products will show the extent of effectiveness of our products. All the products we have displayed in our website are made completely of pure herbs. This has resulted in a significant demand for our products in domestic market in the short duration.